Food Supply Tips - Ways to make the food supply work for you. 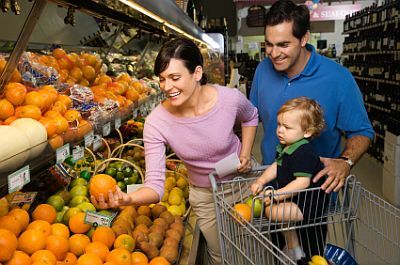 The tips on this page are related to the food supply and how to get the best tasting and most nutritious foods for your grocery dollars. We all have a portion of our budget that we are willing or able to spend on the foods we eat. As food prices go up, finding new ways to make the most of our food budget becomes even more important. These are tips that I know are useful because I use them myself. If you have any food supply tips that you would like to share, hit the contact button and send us a note! When you shop at the supermarket, do most of your shopping on the perimeter of the store. This is where most of the whole, unprocessed foods are located. The inner aisles are where most processed and junk foods reside. If you mostly avoid those aisles (okay, you have to venture there to get your brown rice and lentils), you won’t be tempted by the bright packages. With many processed foods, more is spent to make the packaging attractive, than is spent on the product inside the packaging! Cantaloupe is a wonderfully nutritious and low calorie treat, but how do you pick one that will be sweet and juicy? The secret to picking a ripe cantaloupe is the appearance and fragrance. Pick the one that is less attractive—not smooth and perfect—and the one that has a sweet fragrance when you smell the end where it was picked. Be sure that the melon is not too soft or moldy, since it may be overripe. This method works much better than thumping it! What about the quality of the eggs you are eating? The shell should be thick and not break easily. If it crushes easily, the chicken that it came from was not fed a healthy diet (probably from a chicken factory). Consider buying organic eggs or at least cage-free eggs. The extra expense is worth it for both taste and quality. (If you buy a cage-free or organic egg and it doesn’t pass the “shell test” or taste better, consider a different brand.) Don’t shy away from brown eggs, they are just from different colored chickens! A rule of thumb to remember when choosing cheese is the harder the cheese, the more saturated fat it has. Thus, cottage cheese has less saturated fat than a sturdy cheddar or an aged Swiss. It is generally our goal to eat less saturated fat, since it is the fat that tends to collect in our blood and arteries. Caveat: Try to find cottage cheese that does not have a substance called "carrageenan" listed as an ingredient. I like buying Organic Valley organic cottage cheese, but there are some other brands that don't have this additive, including Daisy brand. There is some good evidence that this substance, derived from algae, may contribute to digestive system cancers. At the least, it may cause inflammation in the digestive tract. It is used as a thickener in cottage cheese and in a number of products, so be prepared that cottage cheese that does not have it will be more like "curds and whey" and less creamy. As far as is possible, buy produce that has not been sitting and being sprayed with water for any length of time. You will notice that at many supermarkets the vegetables are sprayed with water, or misted, periodically to keep them fresh looking. Unfortunately, the constant spraying can leach the nutrients and flavor from the produce. Constant exposure to light can also destroy the nutrients in many fruits and vegetable. If you can find a local source of produce, or a source where the produce is fresh and where there is less time and fewer steps between the grower and the seller. Farmers’ markets are often a good place to go for fresher, tastier produce. High Fructose Corn Syrup. It's ubiquitous! Nearly every food on your grocery shelf has it as an ingredient, even the potentially healthy foods like whole grain bread. Unfortunately, it is sweet and it is cheap, so food companies are using it without regard to the health consequences. The problem with HFCS is that it keeps you hungry. There is a chemical process in your brain to tell you that you are not hungry anymore, and HFCS seems to inhibit this process. Check your food labels, and avoid products with HFCS. This will not be easy, but you can still find some products that do not have it. 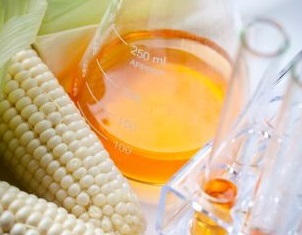 Recently, I was amazed to see a banner on a food product, "NO HIGH FRUCTOSE CORN SYRUP!" When I checked the label it showed, "high maltose corn syrup" as a main ingredient. Do you think this is any better? Maybe. Maybe not. If you are confused by the terms "wheat bread" "whole-wheat bread" and "100% whole-wheat bread," you are not alone. One way to tell if a bread is actually going to deliver the fiber of a 100% whole-grain product, is to check the label for the amount of fiber in one slice of bread. If it has at least 3 grams of fiber per slice, it is more likely to have 100% whole grain in it and not just a mis-leading label. Caveat: Some food producers are adding cellulose or other indigestible fiber to their products to get the fiber content up. This is not the same as eating whole grains where all of the nutrients are present in the product. In addition, these added fibers can upset your digestive system. The same applies to whole-wheat pasta, so check labels carefully. Interesting Fact: There is some pretty good evidence emerging that sugar may be more the culprit in heart disease than saturated fats. Dr. Linus Pauling said that sugar was the problem many years ago, the focus for the last thirty plus years has been on fats-particularly saturated fats. Watermelon is a favorite summer treat, and with its complement of vitamins and minerals, can be part of a healthy eating lifestyle. The best watermelons are those that are uniform in shape, dense (they feel heavy for their size), have a definite spot where they rested on the ground while ripening on the vine. They should also be free of any soft spots and should have marks where the melon detached naturally from the vine, rather than being cut while still green. If a watermelon is not allowed to ripen on the vine, it will never obtain the desired sweetness. 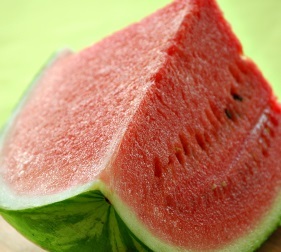 Interesting Fact: It has been many years since I have had a watermelon that is truly sweet and flavorful. Even though I live in the north, and have all of my life, we used to be able to get sweet watermelon in the summer months. My guess is that now the watermelons are grown differently, for the sake of higher production, and/or picked greener so they don't get as sweet before they are harvested. I understand the need to make a profit, but I do miss the "good old days" when watermelon was the sweetest fruit of summer! When checking food labels for nutritional value, be aware that sugar comes in many forms, and food companies have become adept at disguising it and separating it into different types on the label, so that you don't realize how much sugar is actually in the product. Of course, anything that is called sugar, such as maple sugar, brown sugar, invert sugar, raw sugar or turbinado sugar are also forms of sugar. If you are trying to cut down on sugar or have medical issues that necessitate avoiding sugar, you need to be aware of these other names for sugar. The best thing you can do is to limit or avoid foods with added sugar. When you are looking at food label ingredient lists, keep in mind that the healthiest foods generally have ingredients that you recognize. If the list reads like a chemistry lab experiment, you may want to look for a product that contains more real food and fewer chemicals. If this is not always possible, at least be aware of the limitations of these “unnatural” foods with regard to your health, and use them consciously and sparingly. Generally, the simpler versions of a food will contain fewer additives. For example, if you like to go out for ice cream, a dish of vanilla ice cream will have fewer additives than when it is enhanced with toppings and flavorings. The same applies if you buy ice cream at the grocery store. You will need to read the label to be sure, but generally look for plain flavors such as vanilla in a brand that uses basic ingredients. Keep in mind that you can buy the plainer flavors and then add your own high quality toppings at home. In my experience, low-fat and no-fat versions are loaded with additives to compensate for the loss of flavor and texture when the fat is removed. The most important foods that you should buy organic are the animal foods. This is because the level of pesticides, chemicals and other undesirable substances is concentrated in animal foods. This is because the animal who is fed a diet of non-organic products will store the chemicals in its tissues. In addition, many animals are injected with antibiotics and other chemicals to keep them healthy and make them grow faster. For example, when you eat a plant food that has been sprayed with pesticides, you get the chemicals once, when you eat animal products where the animal has eaten foods that have been treated, you get the same chemicals many times over, because each time the animal eats the treated feed, at least some of the toxins are stored in his tissues. Non-organic butter has 20 times the pesticide level of plant foods, since many of the chemicals ingested by the cow are concentrated in the fat. In an ideal situation, you would buy all organic products, including fruits, vegetables, meat, eggs and dairy products. For a list of plant foods that you should buy organic, click on this link. So, if your budget only allows you to buys some organic, start with organic eggs, meat and dairy products. Click here to go from Food Supply Tips to Food Additives page.